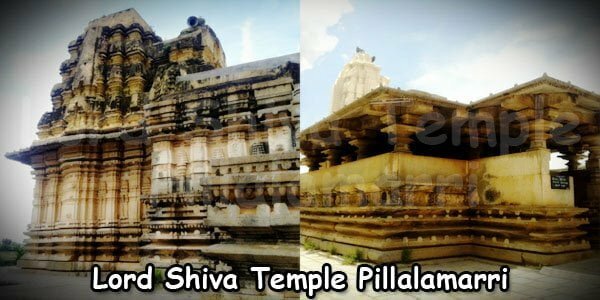 The Pillalamarri temple of Suryapet in Telangana district has a history of 1000 years and is believed to be one of the oldest temples in Nalgonda district of Telangana state. 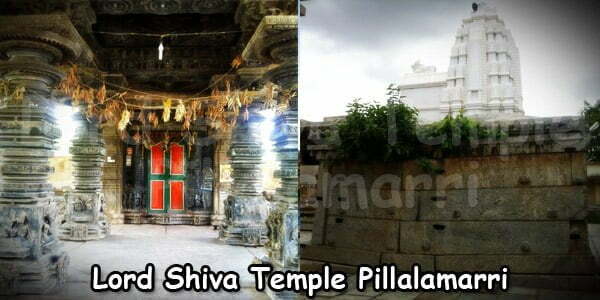 This temple worships Lord Shiva and is located in Pillalamarri village in the Suryapet town. This Suryapet town is located on the National Highway 9 between Hyderabad and Vijaywada and is often referred to as the gateway of Telangana. 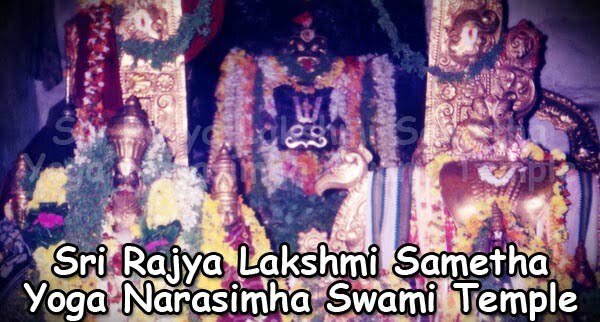 Apart from the famous Pillalamarri temple, the village also has many other old temples that were built during the Kakatiya reign, which increases the historical and religious value of the village. This temple belonged to the Kakatiya era and is a living example of the architectural greatness of the Kakatiya rulers. It displays magnificently carved pillars and walls where every sculpture is a self-explanatory poem. The walls of the temple are also decorated with stunning paintings. A royal Nandi bull adorns the porch of the temple. A certain style of the craftsmen of the Kakatiya era who have imparted a touch of excellence into the Telangana art and culture is an indication of the meticulous structural design. 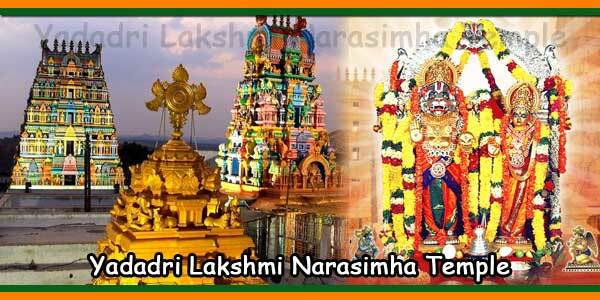 The main idol Lord Chennakesavaswami is placed in the main sanctum of the temple. The decorations made to the deity during the annual celebrations in the months of February to March are a feast for the eyes. 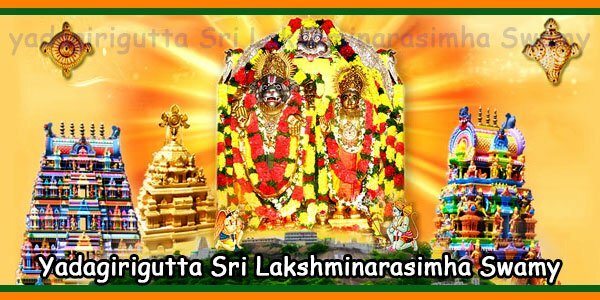 The temple gets filled with huge number of devotees during this time who come from far and wide to offer their prayers and seek the Lord’s blessings. The temple walls beautifully and decoratively describe the reign of the Kakatiya kings with their wall paintings and engravings. Some of the significant engravings are the stone inscription in Telugu dating back to S. 1130 (A.D 1208) describing a mention to king Ganapatideva. Another stone inscription of S.1117 (A.D 1195) stating the rule of Rudradeva can also be seen in the temple. Travelers can have a view of these inscriptions. Adding on to the beauty of these valuable inscriptions, the discovery of coins in the temple site has added on to the antiqueness of the temple. These have helped the historians to salvage a lot about the lifestyle and times of the Kakatiya kings. Along with the antique and artistic value of the village, it is also traditionally very substantial. The famous Telugu poet Pillalamarri Pina Virabhadrudu was born in this village. 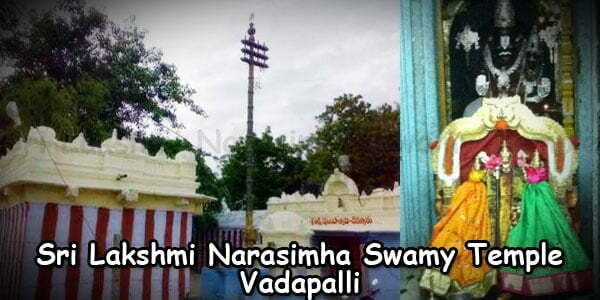 Various other temples also have brought name and fame to the Suryapet village, like the Hanuman temple, the Dandu Maisamma temple and the Shivalayam temple. The biggest landmarks of Suryapet is the famous Suryapet church. 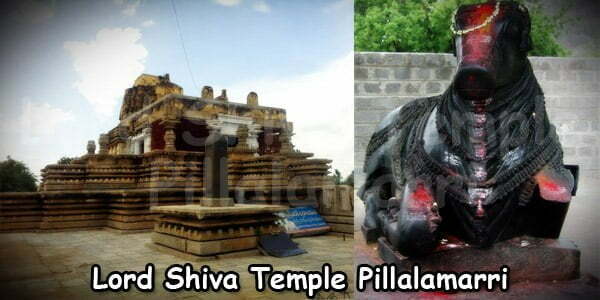 Pillalamarri Temple Timings: 6:00 am to 8:00 pm on all days. The Pillalamarri Temple has robust traditional as well as spiritual importance. Visitors rush to this temple because of the unique mixture of both these characteristics. Both history loving tourists as well as religious minded tourists will love this Pillalamarri temple. Considered as one of the ancient temples of Nalgonda built by Kakatiya kings of Telangana. Numerous hotels, lodges, restaurants are vailable in Suryapet for staying. Some of them being Seven Food Court, Sri Prasad Hotel (Veg), Balaji Grand, Mamatha, Mayuri, Shilpi and Vijetha. Pillalamarri is located at a distance of 6km from Suryapet. Telangana State buses run from Suryapet to several places like Hyderabad, Secunderabad, Warangal, Khammam, Nalgonda, Karimnagar, Miryalaguda, Adilabad, Nizamabad, Janagaon. Buses are also available from Mumbai and Pune (Maharashtra) and also from Bidar and Bangalore (Karnataka). The nearest railway station junction is Kazipet while the stations that are close to Suryapet are Khammam, Nalgonda and Jangaon.